Okay I haven't posted for too long and I blame it on Facebook, I'm hooked, watching what everyone posts and playing Farmville. I have been cleaning the studio and working on my customer quilts running a lot of never ending errands and spending time with my family. I have to make a wedding quilt for my son and his wife who were married last April. It's been sitting and sitting on the work table just sighing and making it known that I need to get to it if I'm to make it before their first anniversary. I finally cut out the strips but am still having decision problems with the background, can't decide which fabric to use and went looking in Doylestown today and the selection was sparse! I suppose all of the quilt & fabric shops are feeling the pinch of this terrible economy. I suggest that we all try to shop at our LQS' so that they stay around for us. This quilt was a challenge, every time I'd look at it to design the quilting I'd see something different. 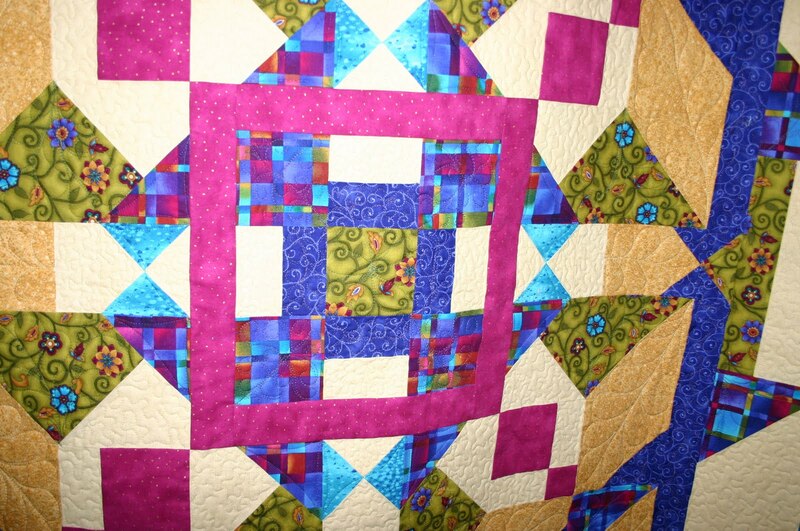 The designer & Piecer is Susan Shiveley, she's a mathmatician and she loves creating her designs using math. Her piecing is always spot on too! I wound up creating several different feather designs, stippling the background and doing some continous curves. This weekend we put up our Christmas lights, it was 60' and sunny, not Christmasy feeling but a good day to get it done! 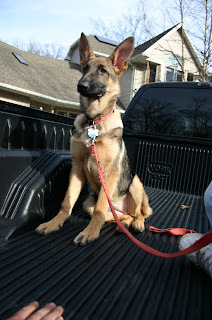 Here's a pic of The Bandit, she is getting so big! beautiful quilt.. it seems like susan has been churning them out lately! as for facebook.. it can steal your life.. i go on there as little as possible!